Join us for our yearly PianoForte Studios concert on Friday, June 7 at 8pm!! Check back later in the season for programming details and ticket info! Clarinetist Babette Belter and I will perform at the Women Composers Festival of Hartford on March 30, 2019 as part of the Music Marathon at Trinity College’s Gruss Hall. Works include Lita Grier’s 3 x 2 and Chelsea Komschlies’ Steam. Lakeshore Rush’s full ensemble will perform on Sunday, March 24 at 3pm at Guarneri Hall (11 E Adams St, Chicago) as part of a New Music Chicago Impromptu Festival. Works by Bradfish, Gillespie, Glass, and Menotti. Special guest percussionist Joshua Graham. 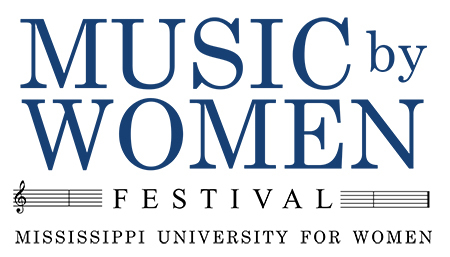 Clarinetist Babette Belter and I will perform at the Music by Women Festival on March 7-9, 2019 at the Mississippi University for Women. As the Belter Murphy Duo, we will perform two fantastic works by living American women composers: Lita Grier’s 3 x 2 and Chelsea Komschlies’ Steam. Please join me and my esteemed colleagues for a Faculty Chamber Recital at Oklahoma State University’s Sertean Center for the Performing Arts Concert Hall on Thursday, March 7, 2019 at 7pm. Assisted by Tyler Austin, Babette Belter, Melissa Bosma, Pi-Ju Chiang, Heather Lanners, and Jeffrey Loeffert. Works by Debussy, Dubois, Ginastera, Komschlies, and McMichael. Lakeshore Rush’s recording of Beth Bradfish’s Curved Silence was featured on WRHC-LP Radio Harbor Country 93.5 and 106.7 on 1/19/19. I’m ecstatic to join the Kansas City Symphony on their Classical Series concert from Friday, 11/16/18 through Sunday, 11/18/18! Looking forward to a great concert series with works by John Adams, J.S. Bach, W.A. Mozart, and Franz Schubert. I’ll be visiting the campus of Northeastern State University on Sunday, October 28. Flute masterclass at 1:30pm, followed by my recital at 3pm with pianist Pi-Ju Chiang. Works by Boulanger, Chaminade, Galbraith, Malmquist, and Saint-Saëns. Special thank you to Laura Pillman for the invitation to perform and work with your students! I'm thrilled to perform my first faculty recital at OSU with pianist Pi-Ju Chiang on Tuesday, October 23 at 7pm. Works will include Cécile Chaminade's Sérénade aux étoiles, Nancy Galbraith's Atacama Sonata, Lita Grier's 3x2 (assisted by clarinetist Babette Belter), Eric Malmquist's Sonata for Solo Flute, and Camille Saint-Saens' Odelette. Join us for a performance of three Pierrot plus percussion works on the CD Release concert for "Solo!" Chamber Music of Amos Gillespie on Centaur Records. Come hear my performance of Le Rossignol by Léo Delibes for solo soprano, flute, and piano on the OSU Concert Chorale and Chamber Choir Concert. I'm looking forward to collaborating with clarinetist Babette Belter, oboist Melissa Bosma, and pianist Pi-Ju Chiang on a performance of Camille Saint-Saens' Caprice on Danish and Russian Airs, Op. 79. The Oklahoma Flute Society hosted their annual First Round OkMEA All-State & CODA Audition Clinic on Sunday, September 23rd at Putnam City North High School. It was wonderful to be the clinician for the 10th-12th grade clinic. Fantastic flutists to work with and a great afternoon! I'll be joining Hwaju Lee's faculty and guest artist recital on Thursday, August 23 at 7:30pm in the Concert Hall of the Seretean Center for the Performing Arts in a performance of Z. Randall Stroope's Love's Waning Seasons. Pianist Pi-Ju Chiang and I will perform Cécile Chaminade's Sérénade aux étoiles, Op. 142 at the Friends of Music Fall Dinner at Meditations in Stillwater, Oklahoma on Tuesday, August 21. Looking forward to serenading our valued patrons! Pianist Dr. Jacob Clark and I were selected to perform at the 2018 National Flute Association Convention in Orlando, Florida on Thursday, August 9 at 9:30am. Vivian Fine's Emily's Images will be part of the "Music Brings Us Together" Concert in Celebration 3-4 at the Hyatt Regency Orlando! Pianist Dr. Jacob Clark and I will perform Roussel's Joueurs de Flute at the Texas Music Teachers Association Convention in Waco on Saturday, June 23 at 9:30am. Looking forward to this great opportunity to perform for colleagues and students! As a Blue Lake Fine Arts Camp Alumna, I'm thrilled to join cellist Christopher Ferrer and clarinetist Laura McLaughlin for a live performance on Michigan's BLPR on Friday, June 15. We'll speak about the forming of Lakeshore Rush, our collaborations with composers, and future projects. We'll also perform works for flute, clarinet, and cello by Lita Grier and Heitor Villa-Lobos. Listen at 90.3 FM or stream online. Charlevoix Circle of Arts presents Lakeshore Rush in concert on Tuesday, June 12 at 4pm. Repertoire will include trios by Brahms, Debussy, and Fauré, as well as duos including the Dutilleux Sonatine and Villa-Lobos Chôros No. 2. Performance generously sponsored by an Anonymous Donor and the Charlevoix Circle of Arts. I'm excited to hit the road with Lakeshore Rush this summer! We'll begin our tour at Chicago's PianoForte Studios on Friday, June 8 at 8pm. Repertoire will include trios by Brahms, Debussy, and Fauré, as well as duos including the Dutilleux Sonatine and Villa-Lobos Chôros No. 2. Stay tuned for special guests and a bonus sextet!